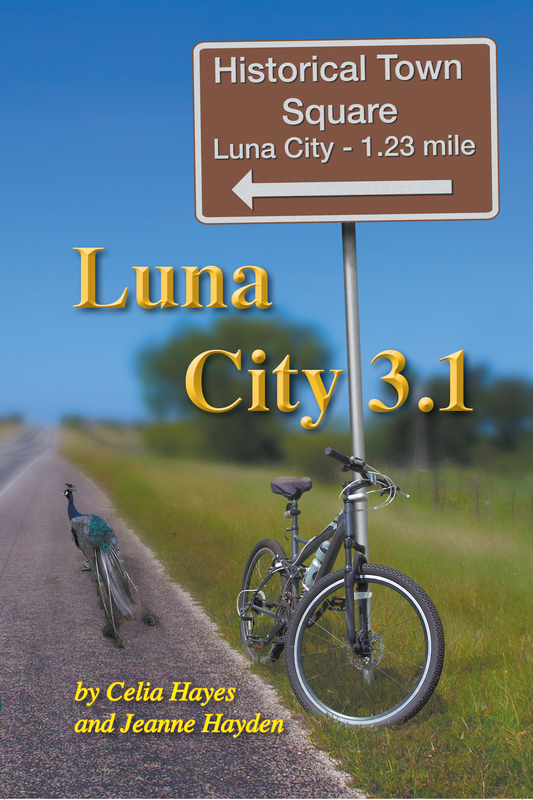 Luna City 3.1 – Kindle! 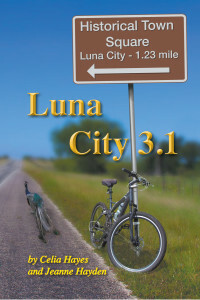 Luna City 3.1 Kindle version is now available here at Amazon! The Luna City Volunteer Fire Department is Luna City’s oldest and most venerable civic establishment, established in 1878, beating out the Masonic Lodge by a matter of eight months, and the Catholic parish of Saints Margaret and Anthony by a full year. Arthur Wells McAllister designed a building intended to serve as a fire house at the south-east corner of Town Square. The building, now a retail space for several antique and crafters, was the firehouse for thirty years. The distinctive twin double-door entrances meant to facilitate a pair of horse-drawn hose and pumper wagons are still evident in the façade. Arthur Wells McAllister, being a forward-thinking city planner, naturally made accommodation for every civic service and improvement required by the last quarter of the 19th century. In the days when cooking, heating, and lighting a home depended on wood or coal fires, oil lamps or candles, domestic fires were an all-too-frequent occurrence, and an organized fire-fighting company of some kind was a civic necessity secondary only to a law-enforcement function. A busy man himself, Arthur Wells McAllister presented the task of organizing a fire company to another founding member of Luna City, Madison R. Bodie. Bodie, who had originally been a ranch foreman at Captain Herbert Kling Wyler’s Lazy W, had saved his wages and investment share into a business providing patent cattle feed, grain and hay to his former employer and other local ranchers. A native of San Antonio, Madison Bodie had been an active member of Milam Steam Fire Company #1, and thus had the ideal experience to take on organizing a new civic volunteer firefighting company. Madison Bodie soon had recruited thirty fit and enthusiastic male volunteers, and attracted the generous support of town merchants. A pair of horse-drawn steam-powered pumps was purchased from the Waterous Engine Works Company, of St. Paul, Minnesota. For many years, community celebrations featured a race between Engine #1 and Engine #2 around the perimeter of Town Square. The two engines faced their first serious fire-fighting challenge in extinguishing a fire at the mansion of Morgan Sheffield – like Arthur McAllister and Madison Bodie, a man who had expected more of Luna City’s prospects than were eventually delivered. Morgan Sheffield, who settled on a small tract of land along the river, slightly to the south of Luna City, had found a natural sulphur hot-spring in the course of building his home. He had entertained hopes of a hotel and curative spa on the site. Work had just barely begun on a bathhouse and hotel, when a lightning strike on the roof of his house during a summer thunderstorm set fire to the roof. The volunteers, alerted by one of the workmen, raced to the scene, and were successful in extinguishing the fire. In gratitude and as a token of his esteem, Morgan Sheffield had a silver speaking trumpet engraved with the date, the emblem of the company, and presented to Fire Company Chief Bodie. The silver engraved speaking trumpet was a prized symbol of authority, and after it ceased to be a practical tool for directing firefighters, it was displayed in a special glass case in the firehouse. Eventually, the original firehouse building proved too small and ill-placed to accommodate Luna City’s first fully-motorized ladder and pumper fire trucks, which were purchased in 1920 and 1922. The fire department moved to its present location on West Elm Street, although the present-day fire house is the third building on that site. The first building on the site had to be extensively expanded with the acquisition of larger vehicles in subsequent decades. Embarrassingly, the second firehouse burned to the ground on the 4th of July, 1939, while all vehicles and volunteers were attending to a massive fire in a hay-barn on the Wyler Ranch. Many relics dating from the early years of the LCVFD were lost in that fire, including the silver speaking trumpet, and other artifacts and memorabilia. The present Luna City VFD building accommodates a multi-purpose fire engine, a tender and a ladder truck, a brush truck for fighting grass and brushfires, a command truck and the ambulance, living quarters for full-time fire fighters, medics. and volunteers on regular shift, a classroom, storage area and wash-rack. There are six full-time paid professional firefighters; the remainder of the eighty-strong force are volunteers; either reserve, in training status or junior members. Junior members must be of high school age, and participate in regular training sessions. They assist with fundraising and educational outreach to the local community, and are considered full-fledged members of the LCVFD after their 18th birthday. Training sessions are held weekly; Wednesday evenings from 6-9 PM.